Javier Alvarez and his Eugene Emeralds had a tough night in the field this late-August 1990 game, according to The Eugene Register-Guard. He fumbled a grounder and then made a bad throw in the third, two of the team's four errors in the loss, according to The Register-Guard. "The defense," teammate Phil Hiatt told The Register-Guard. "The defense killed us. Those errors..."
Alvarez committed those errors in his second season as a pro and second season with Eugene. That season marked his final season with both Eugene and in the pros. 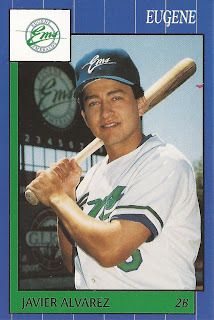 Alvarez' career began in 1989, taken by the Royals in the 33rd round of the draft out of San Francisco State University. He also played at the College of Marin. He started with the Royals at short-season Eugene. He got into 24 games and hit .276. He also hit one home run and knocked in seven. 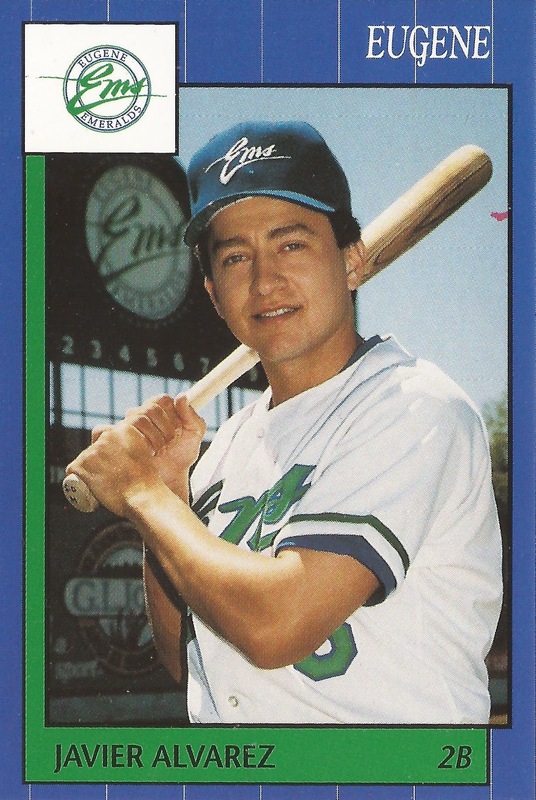 Alvarez then returned to Eugene for 1990. He went 1 for 4, with a run scored and an RBI in a July game. He then went 1 for 3 in an August contest. He walked and scored in another game that month. Overall in 1990, Alvarez got into 45 games, hit three home runs and turned in a .186 average to end his career.